Badan Restorasi Gambut Republik Indonesia - BRG is the Peat Restoration Agency of the Republic of Indonesia. BRG is a non-structural government institution in Indonesia under and responsible to the President which works specifically, systematically, directed, integrated and comprehensive to accelerate recovery and restoration of hydro logical function of damaged peat mainly due to fire and drying. BRG was officially established on 6 January 2016 based on the Presidential Regulation No 1 of 2016 on Peat Restoration Agency of the Republic of Indonesia. According to information found in BRG's website as cited by JobsCDC.com, Badan Restorasi Gambut has main duties to coordinate and facilitate peat restoration in 7 provinces; Riau Province, Jambi Province, South Sumatra Province, West Kalimantan Province, Central Kalimantan Province, South Kalimantan Province and Papua Province. BRG is based in Jakarta and its principal office is registered at Gedung Sekretariat Negara Lantai 2 - Jl Teuku Umar 10, Jakarta Pusat. Minimum S1 degree, preferably from Law, Forestry, Environmental, Geography. 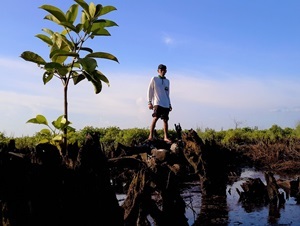 Willing to be placed in 7 priority provinces for peat restoration; Riau Province, Jambi Province, South Sumatra Province, West Kalimantan Province, Central Kalimantan Province, South Kalimantan Province and Papua Province. Able to operate Drone and GPS. The candidates with prior experience in complaints handling is preferred. Have a good health and well-behaved. Able to work in the field with flexible time. Have integrity and willing to sign an integrity pact. Not bound by other institutions / agencies. Statement letter that are to be placed in 7 priority provinces for peat restoration (stamped). JobsCDC.com now available on android device. Download now on Google Play here. Please be aware of recruitment fraud. The entire stage of this selection process is free of charge. Badan Restorasi Gambut - Complaints Documentation Officer Non CPNS BRG January 2019 will never ask for fees or upfront payments for any purposes during the recruitment process such as transportation and accommodation.